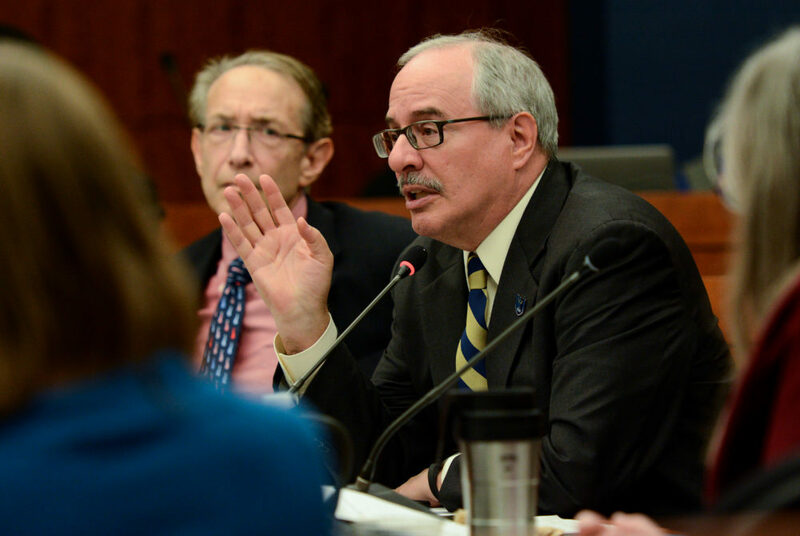 University President Thomas LeBlanc called on the Faculty Senate to review sexual harassment policies during a Senate meeting Friday. University President Thomas LeBlanc on Friday called on the Faculty Senate to review and update policies surrounding sexual harassment and sexual assault in response to recent high-profile accusations in Hollywood and on college campuses. During a Faculty Senate meeting, LeBlanc said the University’s policies need to be updated amid changing cultural attitudes about sexual harassment. LeBlanc said he had already warned senior adminstrators that he has “zero tolerance” for sexual harassment and sexual assault at the University. The University’s sexual harassment and sexual violence policy was last updated in October 2016, according to a copy of the policy posted online. In recent weeks, a spate of powerful men in entertainment and media have been accused of unwanted sexual behavior including Harvey Weinstein, Kevin Spacey, Mark Halperin and Louis C.K. Referencing a story in the Chronicle of Higher Education, LeBlanc said these issues are not limited to the entertainment industry and are happening in higher education as well. The University of Rochester has been embroiled in a sexual harassment scandal after female students accused a prominent professor of sexual harassment and university officials of being dismissive of their claims. LeBlanc said the Faculty Senate and “appropriate committees” should work to update the policies to ensure they are strict and reflect evolving perceptions about sexual harassment.